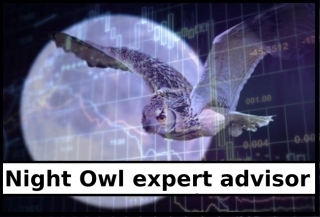 Expert advisors are systems that can be used as a guide and save time or trade in a fully automated mode. The section provides an overview of various expert advisors, showing their strengths and vulnerabilities. 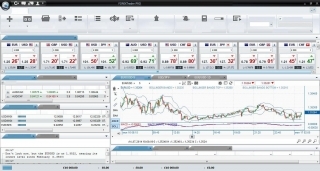 This section contains instructions on configuring the Forex expert advisor, as the settings determine the effectiveness of any automated system. 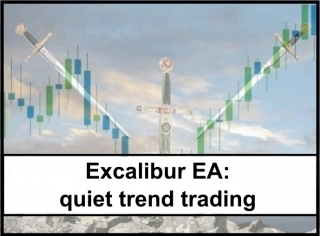 The author argues that this EA is perfect for the lovers of quiet-term trading. 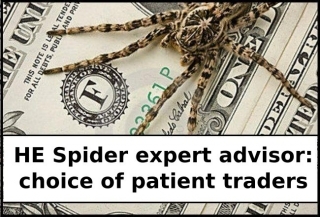 Hence the name of the expert advisor – the trader will have to be patient and behave like a spider waiting for their prey for hours. Stability and reliability can be called the main characteristics any of the trading robots should possess. 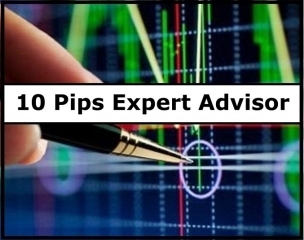 The 10 Pips expert advisor focuses exactly on these components. The basic idea of the trading algorithm can be stated as the following: let the profit be less, but constant. Any 10 Pips expert advisor is primarily based on the psychology of the crowd. The fact is that many traders establish TP and SL orders on daily extremes. Therefore, when there is a breakthrough of the high/low of the previous day, the price for some time continues to move in the direction of the breakthrough by inertia due to the triggered orders. Using the principle of the Martingale in trading looks quite attractive, at least in theory. 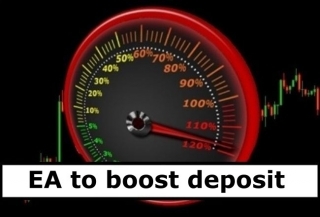 For profitable trading you only need a large deposit, which would be able to withstand a significant drawdown. However, the practice tells a different story: the use of the Martingale is a sure way to siphon off the deposit. The creator of the Silent Ilan expert advisor tries to deny this truth. “Quiet” modification of the well-known Ilan expert advisor uses basically the same style of trading, but it introduces additional filters. According to the assurances of the creator of this robot, these filters significantly increase the reliability of the trading robot. Subject to certain rules, automated trading with the help of expert advisors can be a source of stable income. The main problem with this is to choose the right trading robot. Unfortunately, even paid MTS can’t always satisfy the needs of traders. That is what repels a significant part of traders from trading in the automated mode. 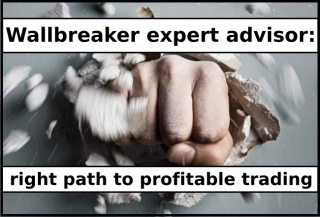 Available expert advisors for some reasons don’t suit them, and they have no desire to buy MTS. They also can’t create an expert advisor by outlining the essence of their own trading system in the computer language, due to lack of elementary programming knowledge. In such cases, the Forex EA builder becomes a really indispensable tool. There are several methods of market analysis: using graphical constructions (technical analysis), wave analysis, fundamental, etc. A distinctive feature of the fundamental analysis is that the price movement is predicted on the basis of important news, which gives trading certain features. The main difficulty in trading on news is that the price sometimes reacts instantly, and the trader has no time to place an order or close a profit. In case of simultaneous monitoring of multiple currency pairs, the task is further complicated – when every second counts, it is easy to make mistakes. 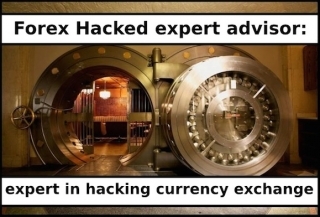 In such a situation, news Forex expert advisor can help. Each year automated trading becomes more and more popular. The main reason for the popularity of trading robots can be independence from emotions, strict adherence to the rules of the trading system and the ability to trade around the clock. 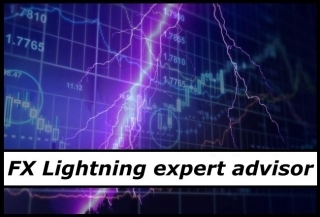 In addition, for many traders, especially the beginners, it is much easier to purchase or download an expert advisor than to trade on their own, delving into the intricacies of the trading system. 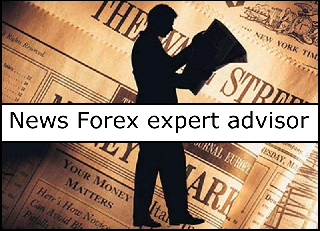 New Forex expert advisors appear regularly due to the fact that it is hard for a human to abandon the idea of earning without applying even the minimum of effort. Unfortunately, far not every trading robot is able to provide stable growth of the deposit. Best Forex Expert Advisors in the Polls: Are Ratings Worth Trusting? When choosing trading robots, many novice traders are guided by the poll results of specialized resources, but the experienced user has a natural question: whether the best Forex expert advisors are on the top of the ratings, or such information is not objective. Today we’ll try to answer this question by conducting a little research of online portals. First of all, we should remind you that any poll is not just the free expression of personal opinion of the respondent. As a rule, the primary purpose of the polls is marketing research. Even if public opinion has been studied by an independent agency, the findings are always used by third-party entities for commercial purposes. Therefore, most often, the top of the rating is what the user wants to see, buy and test, as well as what the seller will actively promote. The popularity of automated trading is gaining momentum at the moment in result of growing prosperity of the population in many countries, and as a consequence, increased interest of people in the financial markets. But many who are interested in trading experts have noticed that finding an efficient Forex advisor is not as easy as it might seem at first glance. First of all, we’ll try to understand why we need advisors in the first place, if all the books and training courses recommend to start trading manually. 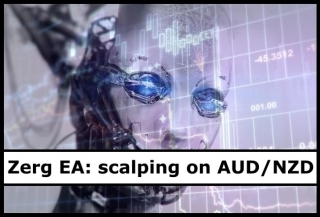 Firstly, automation saves time, especially since many speculators combine their main profession with trading, and secondly, robots lack emotions and subjective judgments, which eliminates errors and violation of the rules of the trading strategy, and thirdly, the EA can be installed on a separate server for round-the-clock operation. 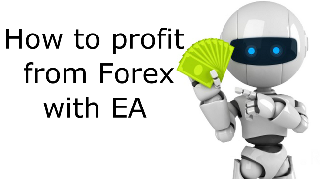 Is it possible to profit from Forex with EA? Sooner or later, any trader asks himself this question, and it does not matter at what stage and level of professionalism they are, whether it is a beginner or an expert who has created their own trading system – when choosing the first robot, everyone is in the same position. With all the evidence of a positive response, this issue raises a lot of debate and confusion, so we will recall some theory and “destroy” common myths. First of all, you need to take the following fact for granted: whatever the supporters of manual trading are saying, the most money is earned from using robots, because operations in all the banks, corporations and foundations are fully automated. You can find an interview with successful traders on many resources, who categorically declare the inability to make money at the foreign exchange market with a small capital. Indeed, to live on the income from the market, large investments are really required, but on the other hand, even recognized guru of finance once started with the basics. In the context of the specified problem, let’s consider the criteria that must be met by the Forex expert advisor for small deposits, and then assess a few examples. Before you select and run any algorithm on a real account, it is necessary to take into account several important things. First of all, the robot won’t make millions of dollars from a hundred – moreover, in practice it is not even able to consistently double the deposit each month, regardless of what the advertising says, so at the early stage of the expert selection, it is reasonable to weed out any version of “Ilan” and other siphon-offs abusing the Martingale. 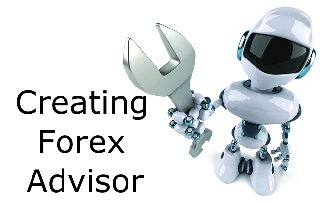 Creating Forex advisor is a complex and time-consuming process, which can’t be described briefly. This is why we will review only the crucial aspects and the challenges that are important for the outcome of the case. 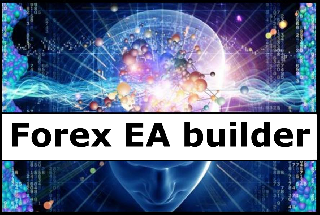 First of all, let us remind that creating Forex advisor can be done either by programming the algorithm from scratch or with various builders. Many beginners have a question: why bother to write the robot when you can buy it or find a free one? The answer is simple: programming skills allow to backtest many trading ideas, but do not create limitations for open source – in other words, there is complete freedom of action and free time that was previously spent on the manual optimization. After the first losses, many newcomers have the legitimate desire to study automated trading, which results in extra costs arising from the purchase of algorithms. 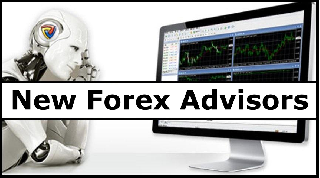 In fact, you should not hurry, because free Forex expert advisors can fully reveal all the advantages and disadvantages of automation. Before considering the selection criteria for a free robot, we shall traditionally start with the species that should be forgotten right away without even wasting your time on testing. So, the most popular “loser” is “Ilan”, which is often found under different names and with different additions, but it always uses the multiplication factor of the lot, making deals against the trend. Of course, there are certain situations when some of its versions may be helpful, but first things first. 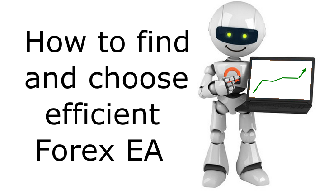 Expert advisor for Forextrader Pro, like any trading robot, should provide lucrative and stable trading. It is preferable that the intervention of the trader in the trading process was minimal. Sooner or later, optimization will of course be required, but it is better to make it happen as late as possible. preference should be given to the advisors based on charts building and to the indicator advisors. This category of trading robots shows stable results in the long term more often than the others.